Multi-use products often don’t provide the results that they claim. The innovation is there, but the performance generally isn’t. Not so with Jemma Kidd Pro Lip Perfector I was sent last month. Jemma Kidd Pro Lip Perfector is a product clearly designed to fulfill three uses: Anti-feather, Prime and Plump… all housed in a single double ended pen-esque container. I am terribly dubious about most primers (excluding my beloved UDPP) and it wasn’t too long ago that I tried the new Urban Decay Lip Primer Potion, which went a long way to solving my pigmentation issues but was a drag (literally) to apply and left my lips feeling a little dry. I expected something similar from this. One end houses the anti-feather ‘nib’. A waxy translucent lip liner that creates an impenetrable barrier in the same way you would Vaseline your hairline to stop your hair dye from seeping down towards your eyebrows. The other end holds a concealer-coloured bullet which claims to ‘prime & plump’. And it does so nicely. 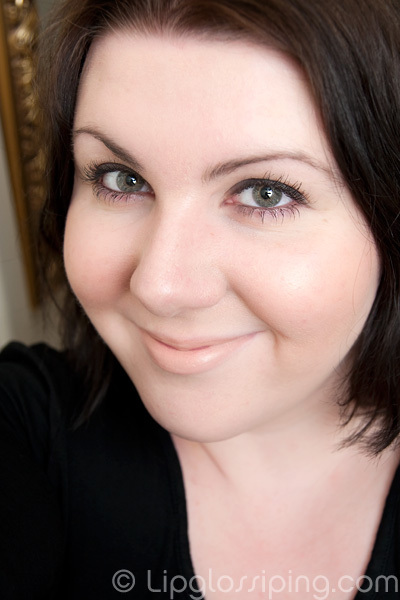 The primer glides on in comparison to the Urban Decay version… it’s a joy. The concealer colour that it imparts blanks out the colour from my lips and allows for a neutral base. I would recommend blotting the primer before applying a lipstick ontop just to remove the excess product but keep the neutral colour base. It does indeed tingle like a true plumper should and doesn’t leave my lips feeling any dryer than normal. Infact, I applied the primer to one half of my mouth before using a lipstick… and in all honesty, couldn’t see a massive difference in application BUT the primer’ed half felt far more comfortable 10 minutes later, whilst the non primer’ed side began to feel a little dry and tight. The photo above shows my lips wearing just the Jemma Kidd Pro Lip Perfector with nothing ontop. You can see that it blanks out all natural pigmentation successfully. I would recommend this over the Urban Decay Lip Primer Potion because it is so good at creating a blank canvas without drying. I’m not convinced it gives me any extra wear from my lipsticks, but the addition of the anti-feather product makes this an extremely useful tool to own. 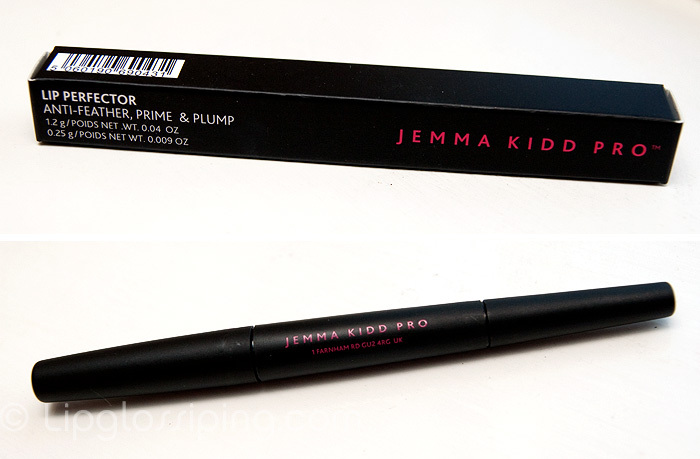 The Jemma Kidd Pro Lip Perfector is £15 and available from QVC online. How lovely you look. Such beautiful skin. You look good with your lips blanked out, haha!! Interesting product! I agree with the abve comment – you look lovely. I want I want I want! Your lips look so smooth and perfect (sounding a bit of a stalker here)! That matches your skintone really well! Obviously that’s not a prerequisite or anything, I just noticed 😛 Looks like a good product.